Preparing for aliyah is HARD WORK and the last few months before the flight can be very stressful. 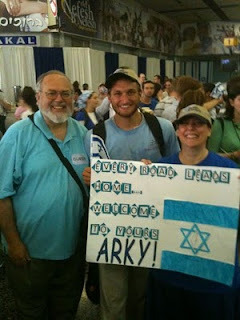 No matter how much you want to live in Israel, it’s important to remember that the final stretch is hard for everyone. Besides the innumerable details that need to be attended to, there is also the emotional reality of leaving family and friends behind. Of course, it's important to realize that none of us are likely to have to ride a camel in the desert for 6 months, cross a hostile border with an armed guard or sail in steerage for 3 weeks to get to Israel. Considering to the price some Jewish people in history have paid for the privilege of making aliyah, we have it comparatively easy. 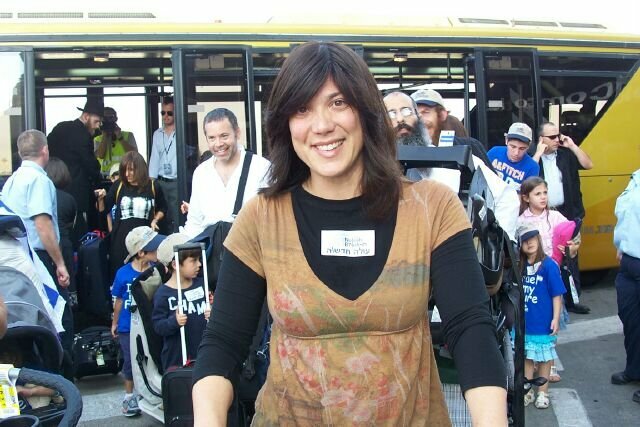 The following tips for managing the last few months before the aliyah flight have been culled from the recent experience of olim who have just been through the process of disengaging from their lives in America. Please email additional suggestions to make this list even more helpful for others. Notes – phone numbers, who you spoke to,whether a refund is due, date of last payment, etc. Optional categories – priority, current status of each task, etc. Join the community list of the community to which you are moving or any communities to which you are considering moving. 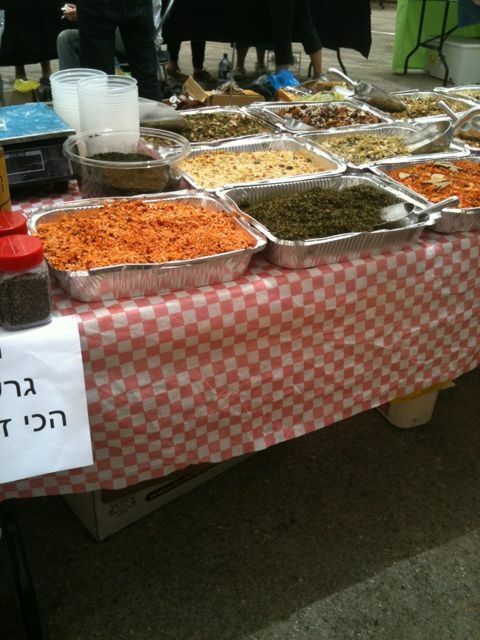 Jacob Richman of Ma'ale Adumim put together a great list of community mailing lists in English. 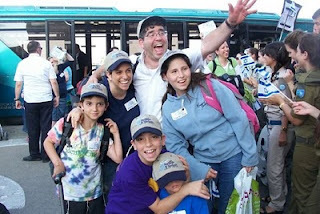 Nefesh b'Nefesh has a very active advice-giving listserv which you can join as soon as you open your aliyah file. Use Facebook to connect with people who live in your future community. Ask people in your new community to help you friend others who live nearby. Facebook is an especially important tool for older children and teens to connect with friends before they even arrive. 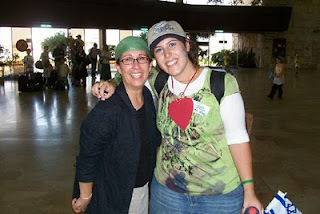 Find an aliyah buddy – someone already in Israel who knows a lot of what you need to know and who will answer your endless questions and, most importantly, will encourage you when your energy flags. Consider making digital copies of your family photos to save space. If your current email address is associated with your Internet Service Provider (e.g. Comcast, Verizon, etc. ), consider switching now to a free web-based email address like yahoo.com or gmail.com. Otherwise, your email address and all your contacts will disappear when you cancel your internet service. Develop a sample budget. Nefesh b’Nefesh has sample budgets for families, singles and retirees. But remember, money is more fungible in Israel than anywhere else in the world. Take out all cards in your wallet and make a list of what needs to be cancelled (e.g., store memberships, voter registration, library, frequent traveler programs, etc.) Add these tasks to your master list. As early as possible, make a list based on every important piece of mail you receive. Add these vendors to the master list as a reminder to notify them, cancel them, and/or ask to be removed from their list, or whatever the appropriate action is. Look through your checkbook and make a list of which bills are paid monthly and annually. Add to master list. Call each vendor (i.e., car and home owner’s insurance, utilities, credit cards, alarm system, mobile phone service, etc.) to arrange for cancellation of services and refund/final payment, including timing. Take notes as you are on each call because you will not be able to remember the details. Make a list of which publications you receive. Decide whether to cancel subscription, submit a domestic address change or submit an international address change. Addresses for many national publications can be changed online. Some publications will not charge additional postage to mail to Israel for the duration of the subscription but will charge for a new subscription to an international address. Go through the home room-by-room and make a list of items and what to do with them – send on lift, sell, give to family member, trash, donate/giveaway. Don’t forget small things like hampers, phones, hangers, surge protectors, small kitchen appliances. Add each item, or each category of items, to master list. 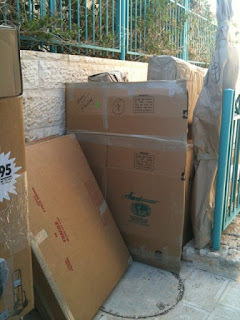 Sort household items by category (i.e., sheets, pillows, blankets, tablecloths, Kiddush cups, challah boards, pots, etc.) Decide how many of each category you will take and make a plan to get rid of the rest. Decide what you need/want to buy in quantity to add to your lift (i.e., OTC medications, Q-tips, non-perishable food, etc.). Add to master list. Watch the conversion rate and decide what money you can change to shekels now. The Bank of Israel publishes the exchange rate for common currencies. The dollar exchange rate has been hovering around 3.8 NIS. Start by uncluttering the items that don’t hurt to part with. If you feel a twinge of reluctance over parting with an item and you have the time, set it aside for now. 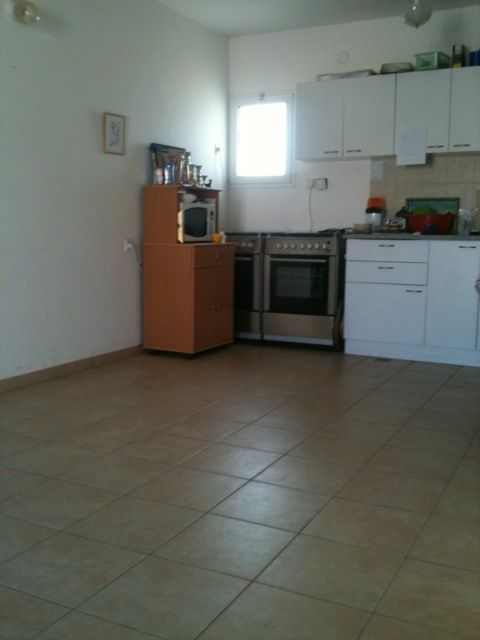 Uncluttering definitely gets easier as your aliyah date approaches. There are three main ways to get rid of your unneeded household items: sell, throw away or give away. The most important bit of advice about selling items is to reduce your expectation about what your used goods are worth. Most of us can’t maximize profit and also get rid of excess stuff on a tight timetable. Keep your eye on the goal – the date of your aliyah flight! If you have time to photograph and list each item separately, you can make the most money. Luach.com and craigslist.org are good sites for advertising household items for free. If your shul or local Jewish community has a list (e.g. BaltimoreAchdus), that is also a great place to advertise items for free. If you have the time and skill, setting up a blog and promoting it on luach.com, on your local community list and with every craigslist.org posting can generate much more income from the sale of your goods than any other method. Yard sales are a lot of work for relatively little yield. 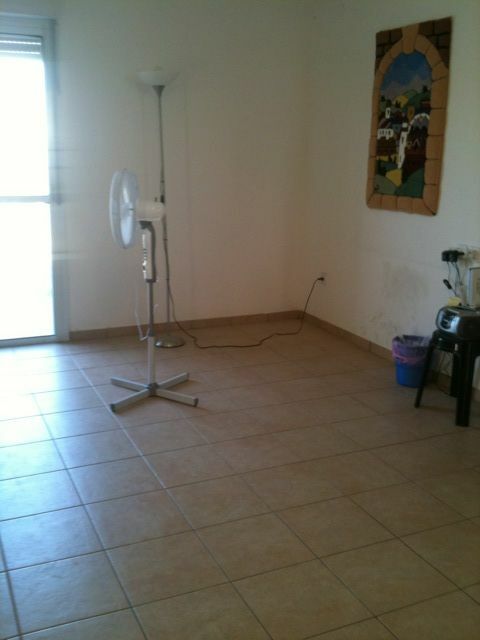 If you have the space, try a basement sale. At least you won’t have to schlep your stuff outside and back in. eBay consultants will list and sell your items for a percentage of the selling price. This might be worth it for high value items, but not for ordinary stuff. If you have a few quirky items that might need a national market to find the right buyer, eBay is the place to go if you have experience. 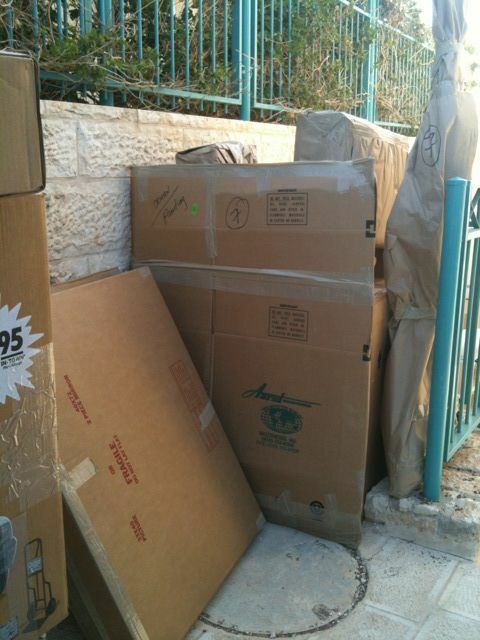 If you are just a few months from your aliyah date, this might not be the best time to learn how to sell on eBay. There are more important things that need to get done on a deadline. It hurts in the beginning, but the feeling of being free of so much excess stuff is very liberating. Consider hiring a local person with a truck or a national company like 1-800-GOT-JUNK or College Hunks Hauling Junk. Expect to pay between $150 and $550 depending on how much junk you have. Considering combining a yard sale/basement sale with a giveaway. Designate categories of items as freebies and people who come might buy your better quality items if they are priced right. Are there sentimental things that other people in your family might want to have? See if there is a freecycle list for your community. Freecycle is “a grassroots and entirely nonprofit movement of people who are giving (and getting) stuff for free in their own towns.” If there is a local Freecycle list for your area, you join and send an email to the list with the item or items you want to give away and people respond by email if they are interested. You pick the person you want to get your item and make arrangements for them to pick up, generally at your home. For the most part, I left items outside my house, marked with the person's name. This has two advantages. First, you don't have to coordinate a time to be home. Also, it eliminates any worries you might have about letting strangers into your home. The major potential glitch with giving things away is getting people to come when they say they will. It’s easy to send an email saying, “I want your item for free,” and another thing entirely to come and get it. Use email to gently nudge. Some charities will pick up at used household items from your home. Try Purple Heart, Salvation Army, Goodwill, Vietnam Veterans Association, etc. If you’re not sure where to begin, Google “donation pickup [your city]”. Try to find a newly married couple or someone who is new to your community, coming in as you are leaving. They will be your best “giveaway” customers, especially for little things like hangers, trash cans, wall clocks, etc. If they are available in your local kosher grocery, buy Israeli food products before you come so you can become familiar with brands and differences in formulas. Ketchup, breakfast cereals, etc. are different enough for a sensitive palate to detect. 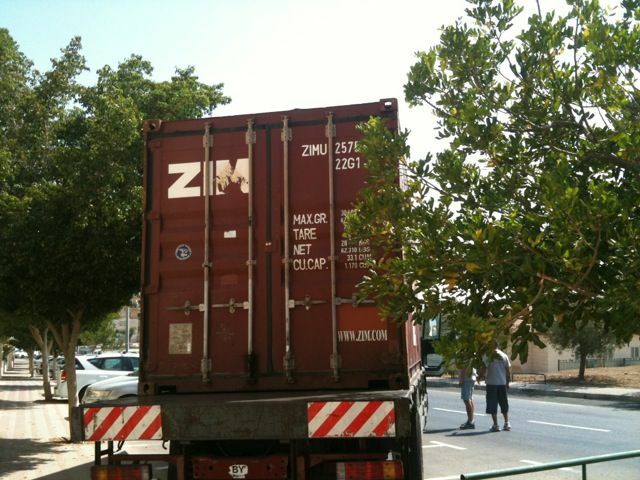 There is no one-size-fits-all answer to the great "Ship-vs-Buy-In-Israel" appliance debate. Ask, ask, ask and then do what feels right in your gut. Cell phones bought through a carrier are generally locked and will only work with that specific company’s system. However, if you have a cell phone that uses a SIM card, ask your American cell phone provider if your phone is a multi-band phone capable of being used overseas. 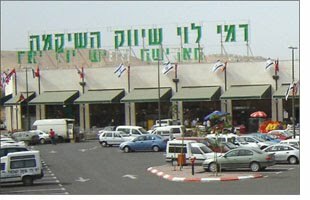 The two largest cell phone providers in Israel are Cellcom and Orange. 900Mhz frequency is used by Orange and 1800Mhz frequency is used by Cellcom, so those are the bands that the phone has to work with in order to work here. If your phone will work on those frequencies, ask your provider about getting the phone unlocked. T-Mobile was always very good about doing this for us. Many times, we used phones bought and unlocked in America with a local Israeli SIM card. Unlocked phones are also for sale on eBay and at tigerdirect.com. Separate and clearly mark all items not going on the lift. The packers will pack everything not nailed down and they are FAST! Since not all moving crews speak English, color code or number each box according to the room it will ultimately belong in and then label each room the day the lift is delivered. It will make the distribution of boxes go more easily and you won't have to move boxes around your new home. 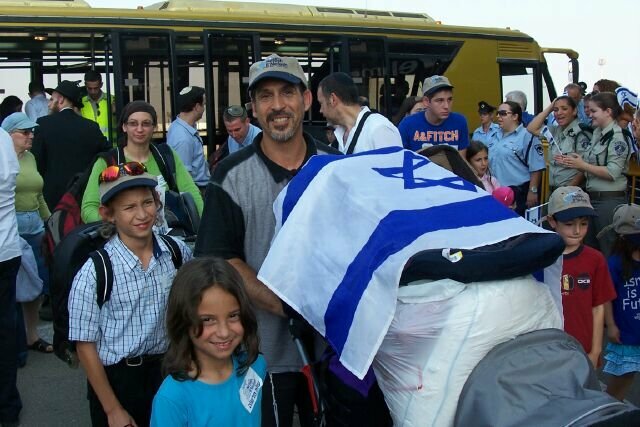 On NBN charter flights where everyone on the flight is making aliyah, olim have historically had no trouble taking extra luggage without penalty. The same is not necessarily true of group flights. Consider packing a few pots, can opener, reusable plastic dishes, silverware, and drink ware so you can have viable meal service before your kitchen gets set up. Make sure your kids can carry whatever they take on board the flight. What does it cost to mail a letter within Israel? 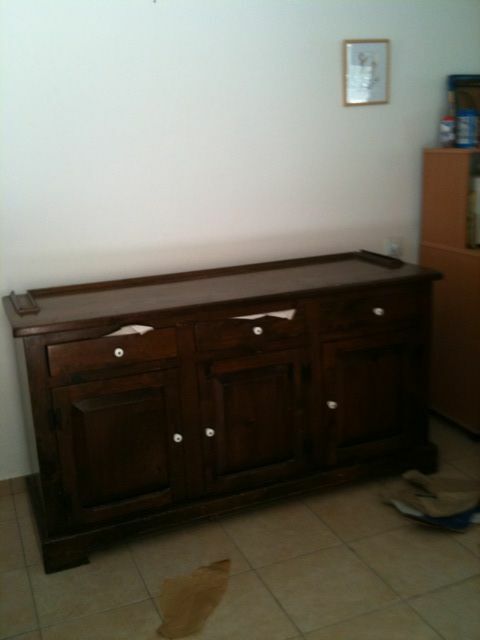 What does an Israeli mailbox look like and where do I find them? Where can I get a calendar with local candlelighting times? What’s the conversion for anything I know in inches, ounces or Fahrenheit? Where can I buy [fill-in-the-blank]? What bus do I take to get to [fill-in-the-blank]? What’s the Israeli version of Lysol, Windex, Ajax, [fill-in-the-blank]? Is this a good price for [fill-in-the-blank]? How do I write a check in Israel? What’s the best cell phone, Internet, insurance, VOIP, [fill-in-the-blank] plan for me? It’s all a matter of attitude. If you’re easily frustrated, the transition will definitely be more difficult. But if you take it a little at a time, rely on the plentiful, generous help of others and remember to breath, your life in Israel can be richer than anything you can imagine! 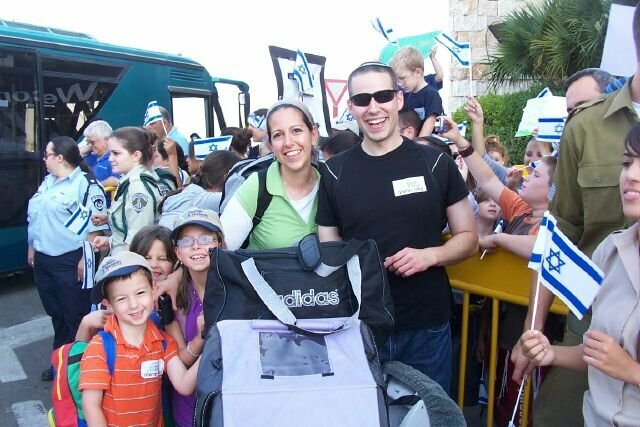 Yesterday was the beginning of our seventh week in Israel. 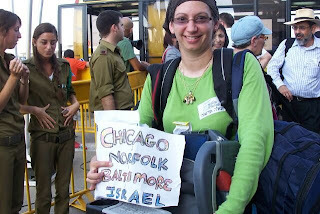 While living in Baltimore, I traveled to Israel about 25 times, but this is the longest I've ever been here at one time. Looking back over the last 6 weeks, we've accomplished so much! We've been to a dozen official government offices. We've accumulated a whole data bank of information about Israeli driver's licenses, post offices, pharmacies, cell phone plans, insurance, banking, grocery shopping and the necessity of taking notes on the seemingly random opening hours of places where we do frequent business. We've hired plumbers, handymen, installers and delivery men by the score. We've unpacked, uncluttered and learned how to do laundry. We've written checks for furniture, appliances, the first installment of our daughter's tuition bill in Israel and a used car. 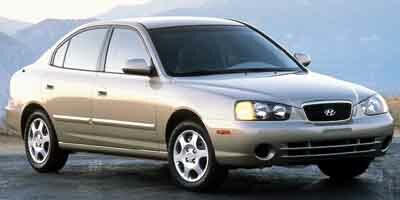 This is what our used car looked like when it was new... 10 years ago! We've learned how to exchange dollars for shekels, how to wire funds locally and internationally and how much postage it takes to mail a letter within Israel. We've gotten a credit card, checks and ID cards for our medical plan. 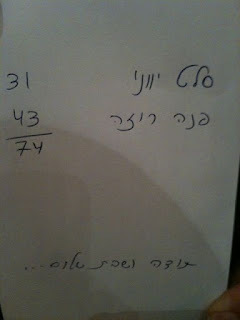 We shopped at 5 different places to buy textbooks for our high school student and signed up for ulpan. 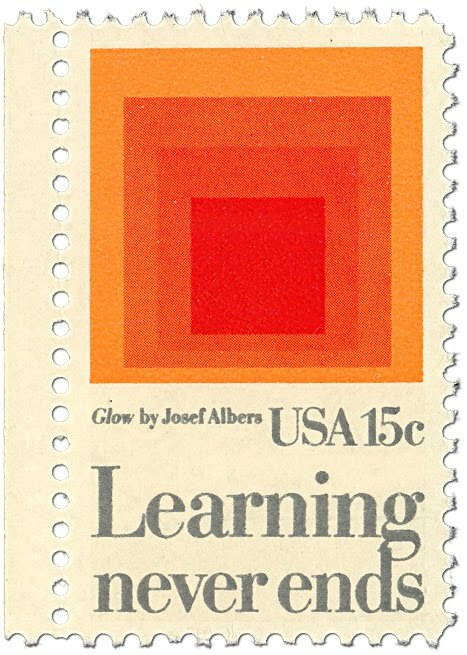 In the early 1980s, the US government issued a postage stamp that I loved so much, I bought a poster- size version and kept it in my office for years. Little did I know how relevant it would still be 30 years later. So yesterday, when we went to the airport to greet five families and two singles from Baltimore who were on the last charter flight of the summer, I was thinking of how much learning awaits them. They are even newer newbies than us! This is what our apartment looked like at 9 AM yesterday. From this perspective, it looks so much bigger than we thought. Makes me wonder, "What were we so worried about?" Even though I felt a little conflicted about it, we paved over the potential garden so we'll have a great space for our sukkah. It also ended up serving us well as a place to put boxes that didn't fit inside the house. We last saw this beautiful vessel 6 weeks ago as it drove away from Hal Circle. Just minutes after this picture was taken, lots of sweaty Jews were spotted in the immediate vicinity. 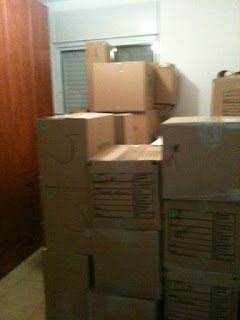 After all the boxes (oy!) the few pieces of furniture we sent started coming in. This was the first piece in. My mother and sister will recognize this immediately. 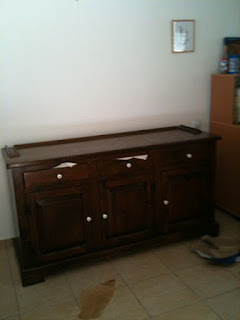 It's the bottom of the hutch that has been in my family for as long as I can remember. The very first boxes we unpacked went into the hutch. We amuse ourselves by calling this the guest room. Someday, we will actually confirm the rumor that there's a bed under the rubble. If we find it, that's where you'll sleep when you come to visit us. 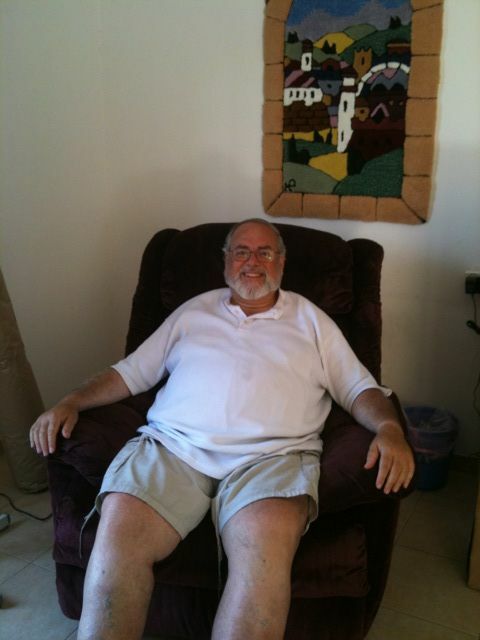 This is Elan sitting in his favorite chair, in his favorite home, in his favorite city, in his favorite COUNTRY on his birthday. No wonder he's smiling!!!! Last night, during a completely typical erev Shabbat shopping trip to Rami Levi, my heart was full. As I searched through the freezer cases for a bag of broccoli, I heard an announcement over the intercom calling people to come to the area behind the dairy section to daven ma'ariv (the evening service). I saw men walking up and down the aisles, in between the bags of milk and frozen pizzas, waving any man back into the refrigerated section, encouraging them to come and make a minyan. In the grocery store. Some people find the secret to life in Israel in stories that take place on its buses and in its cabs. 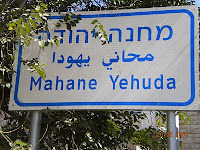 Everyone is Israel has a story about a taxi driver! I don't know. There's something about grocery shopping in Israel that seems to really capture an essence of this place for me. 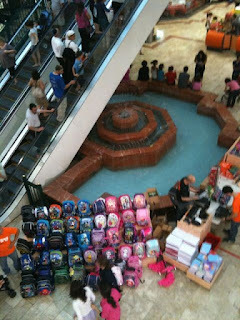 Another shopping in Israel lesson: As we are rapidly learning, parents have to buy textbooks here. So we've been on a multi-week search for the right books for our soon-to-be 10th grader. Today, we went to a store on Emek Refaim in Jerusalem to snag the last few books on her book list (almost done!). Between the car and the store, we discovered that there's a street festival at that location every Friday. Jazz music was piped in and the whole place was covered with a tarp to keep out (some of) the strong mid-day sun. To my great regret, some of the pictures I thought I took ended up as video instead of still shots, but I hope these few photos will give you a flavor for the chavaya (experience). 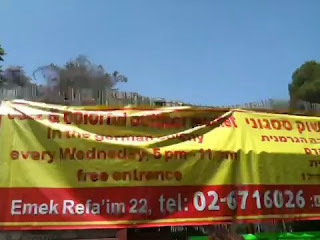 Sign at the entrance, advertising another weekly event on Wednesday evenings. Tupperware is being sold in the Holy Land. 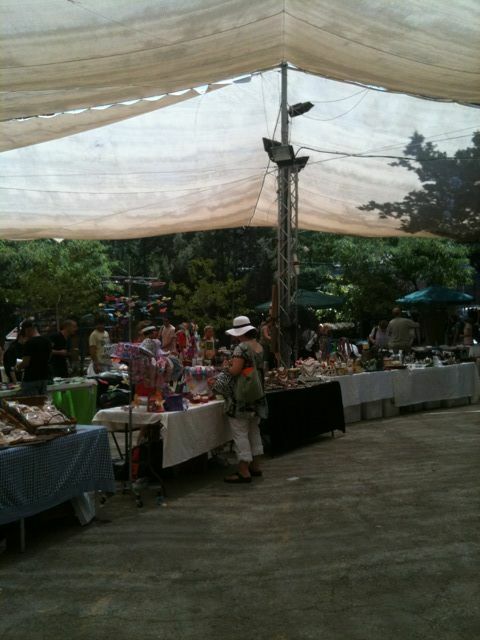 A few craft tables covered by the tarp. 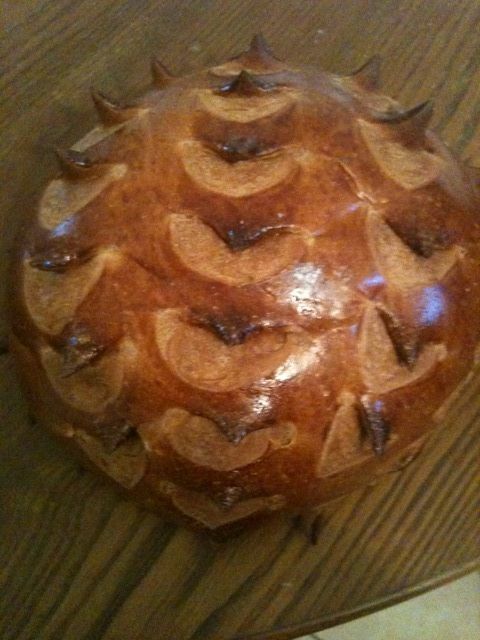 Regrettably, I can't figure out how get the video of the artisan breads to convert to still shots. Too bad. 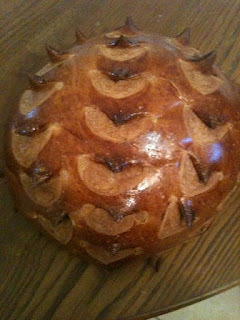 But here's a picture of a Porcupine challah I just couldn't resist buying. Gorgeous, fragrant spices sold from open pans. There's definitely a, ahem... different sense of hygiene in this country. 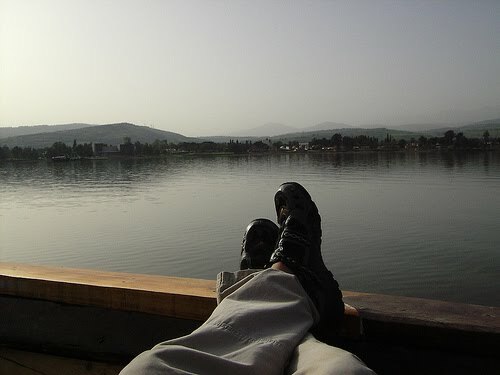 There's a whole aspect of life in Israel that I've barely touched on in recent posts because it's not easy to articulate. But a few recent experiences have encouraged me to try to capture some of the feeling of being in a place where God conversation is an ordinary thing. In America, I rarely went to shul for several reasons, some of which are no longer applicable now that I'm here. Compared to my previous shul attendance track record, I've been to shul startlingly often in the last five weeks. 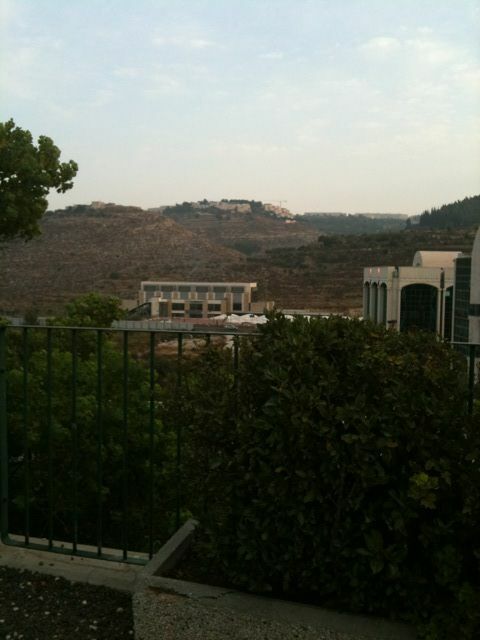 I've also attended three shiurim since last Shabbat. And I'm much more aware of Rosh Chodesh than I ever was before. 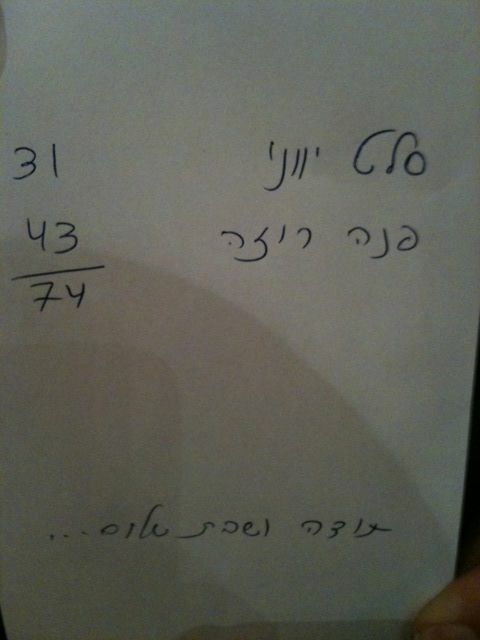 In America, I mostly knew it was Rosh Chodesh because my husband would remind me to add yale v'yavo to my bentching. Not something I'm particularly proud of, especially considering that women have a special relationship to Rosh Chodesh, but it was, nonetheless, the case more often than not. Not sure if it's because it's Rosh Chodesh Elul, or because I was in shul for Shabbat Mevarchim or because I attended three shiurim about the spiritual work of Elul or simply because I'm in Israel, but I was exceedingly aware of my first Rosh Chodesh in Israel. Last night, I went to a shiur about preparing for Rosh Hashana with Rabbi Lazer Brody at Berot Bat Ayin. There were about 45 women crammed into a rustic, 2-room Beit Midrash. The setting was rural. Two fans whirring and the relative coolness of the Gush Etzion evening set the mood. Rebbetzin Chana Bracha Seigelbaum spoke first about the special qualities of the month of Elul. Rabbi Brody's words, in particular, spoke to a place deep in me that I cherish but can't always access. 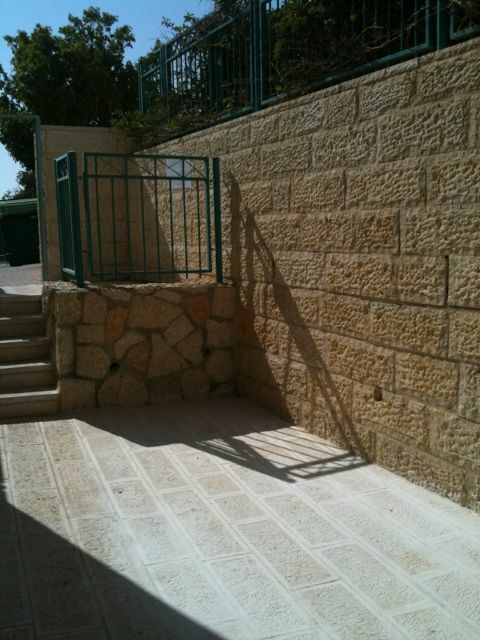 He talked about how important it is to pay attention to Hashem. How true teshuva makes us happy. How our own transgressions are what block Hashem's light. How our job in this world is to refine our souls. I left feeling uplifted, with a specific plan, as suggested by Rebbetzin Seigelbaum, to help me prepare for my first Rosh Hashana in Israel. After the shiur, I bought a small book about the spiritual practice of hitbodedut and the importance of speaking directly to Hashem in one's own words each day. I felt so much a part of the world on the bus, so happy to be among so many people, grateful to have a seat on the exceedingly overcrowded bus all the way home. During the journey, I began to read the book, though it was nearly midnight and the light was dim. Next to me, another passenger played a video game on his cellphone. His activity was a vivid contrast to the elevated head space I was in after participating in an evening of God conversation. I like being in that head space. It's a place I want to visit more often. We're coming up on five weeks in Israel. We've made much progress in getting registered in all the government systems in which we need to get registered, and getting the things done that all new olim have to do. As an aside, it's a puzzlement to me how olim who start ulpan right away and sit in class from 8 AM-1 PM Sunday through Thursday manage to get any of this stuff done. We've had a range of experiences, from the shockingly inefficient to the incredibly easy. A couple of examples of the latter will help illustrate. In our health fund, there's a full-service pharmacy just steps away from my new doctor's office. She gave me a prescription, so I walked the 3.5 seconds from her office to the pharmacy, took a number and waited under 5 minutes. When my number was called, I stepped up to the counter and handed the clerk my prescription which was filled on the spot. In and out in under five minutes, prescription in hand, at a total cost of less than 12 shekels (about 3 bucks). Today, we went to an office of the Misrad HaRishui (the Ministry of Vehicle Licensing) to collect the next document in our quest for an Israeli driver's license. I just love when a government office offers numbers at the entrance. It's a bit like a bakery perhaps, but it saves so much tension knowing that my non-Hebrew-speaking self will not be overlooked. The office was huge and clean and orderly. We headed to a few seats in the ample seating area, prepared to wait our turn. Before I had all the documents in hand, our number was called. Up to the window we stepped and, again, we were out of there lickety-split with the next document in our "earn-an-Israeli-driver's-license" scavenger hunt. Anticipating a long and complicated process, we way overpaid on the meter. By the time we got back, we had been away only 20 minutes, which included the walk from the car to the office, the more-thorough-than-usual security check, the wait for our turn at the window, the receipt of our documents and the walk back to the car. We looked at each other and laughed because we didn't quite know what to do with the extra 2 hours with which we had just been gifted. At the same time, we are aware that we are living in the calm before the storm. In under a week, our lift is due to arrive at our new home. That's when the fun begins. Oy! We're already regretting half the stuff we sent because we simply have no clue where we'll put it, and where we'll leave it until we figure out where to put it. And, in a few short weeks, our daughters, who are spending most of the summer in America, return home to Israel. Then the fun really begins. For now, we're in something of a state of forced relaxation. We have a list. Of course we do. But with our household goods still on a vessel somewhere in international waters, our daughters in camp 6000 miles away and the rest of the country seemingly on vacation (did you ever try to get an Israeli to call you back in August? 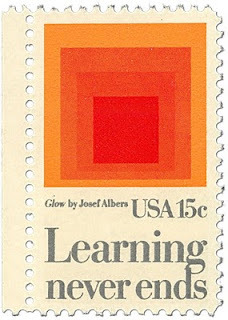 ), there are real limits on what we can accomplish. Soon, very soon, it will all hit us. Until then, we're very much aware of the necessity of enjoying all this enforced leisure. 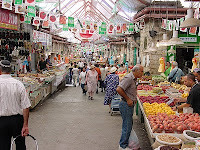 Once upon a time, when we still lived in Baltimore, my husband and I agreed that, when we made aliyah, we would go to the shuk, also known as Machane Yehuda, on Thursday nights to buy food for Shabbat. We've been invited out for nearly every Shabbat meal since we've been here, so there hasn't been much of a need, but we were stuck inside most of today, waiting for the technicians to come and install our new ovens, so by the time they left at 7 PM, we were itching to get out and do something. 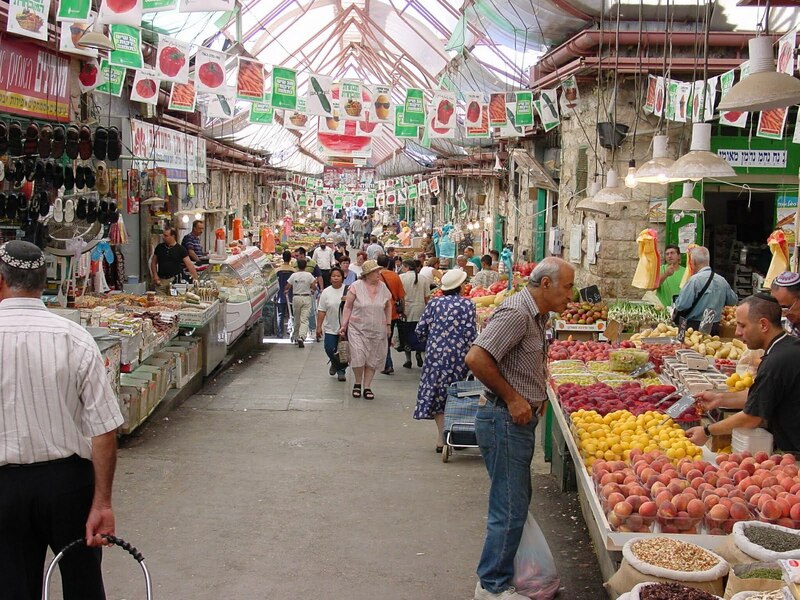 The shuk is a huge outdoor market that covers several city blocks in the center of Jerusalem. 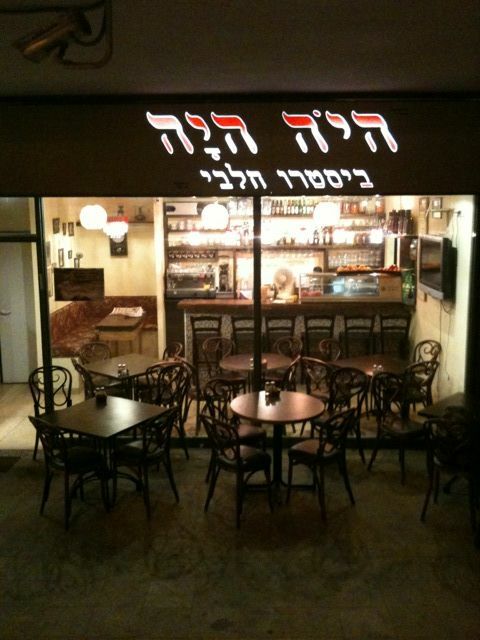 To olim chadashim like us, it resonates with an authentic Middle Eastern vibe. The experience of walking around, taking in the various, um... fragrances, comparing merchandise, pushing through the crowds, trying to decipher the prices that are screamed into the air, pretending to feel like a local, is nothing, absolutely nothing, like shopping at Giant. By the time we got there, many of the stalls were already closing down, but we bought some fruit, bread, apricot leather and eggs. 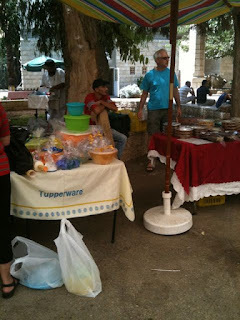 We also managed to snag a great buy on onions, once I understood that the guy shouting "batzal - shekel v'chetzi!!" was selling them for about 17 cents a pound. We sat outside at one of a few small tables and had a light dinner. The food was good. The breezy weather was lovely. And we were sitting in Jerusalem. When the handwritten check came, my husband smiled at me and said, "I hope to never take this for granted." 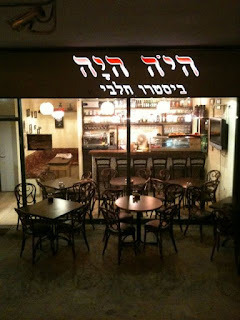 At the bottom of the check, our server, who played American pop music during our meal and was wearing both a scruffy little beard and a black plastic headband to reign in his long hair, had written, "Thanks and Shabbat Shalom." A few snippets from our new life in Israel, with occasional, accompanying illustrations. Yesterday, as we continued to chase our citizenship benefits around from one government office to another, we had a monumentally difficult one scheduled. It's one I've been postponing because of several unique administrative complications we were facing. I left the house armed with what I hoped was the right documentation. We stopped at the mail box to see if a package my husband was expecting had arrived. Not only had his package arrived, but so had a letter from the very government office we were about to go visit. Just this week, I gained the tiniest bit of confidence understanding our household bills, but when I open a letter written entirely in tiny Hebrew letters without vowels, I still panic. However, this time, I took a deep breath and tried to decipher the letter. The letter advised us that the very matter about which we were going to visit the office had already been resolved in our favor. It was done! I don't know how or by whom, but I confirmed with our bilingual banker that my understanding of the letter was correct. 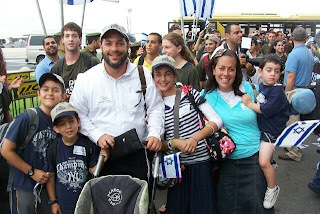 Oh, how good Hashem is! Today, we began the scavenger hunt known as the process of converting a foreign driver's license to an Israeli one. Depending on how you count, there are a minimum of eight necessary steps to the goal (and the opportunity to drop some shekels at every step :-) Our first step was to go to a certain optometrist in a certain mall which doubles as something of a mini-branch of the Israeli equivalent of the MVA. We knew which mall it was in, but that was about all the information we had. Behold and lo! The very minute we walked into the mall, we found the optometrist because it was the very first store closest to the entrance where we "just so happened" to park. 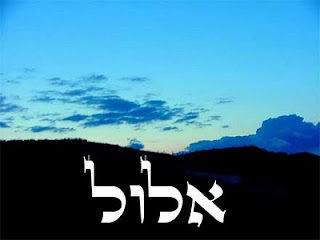 Oh, how good Hashem is! By the way, here's the view from our parking space at the mall. Not too shabby. I surely never saw vistas like this when I parked at Towson Town Center. While on the second of three levels in the mall, we looked down and realized it was back-to-school season in Israel. For some reason I don't yet understand, backpacks are very serious business in this country. Several times while wandering around the mall, we found ourselves near a small group of English-speaking teen girls, all around the same age as our youngest daughter. A few of them were still wearing the hard-to-miss GUEST stickers from the Nefesh b'Nefesh flight that landed this morning. At the food court (did I mention it's 100% kosher? ), I stopped to speak to one of the girls whose cow hat attracted my attention. This creative (and obviously very self-confident) girl is Zisse. She's 16 and lives in Teaneck, NJ. 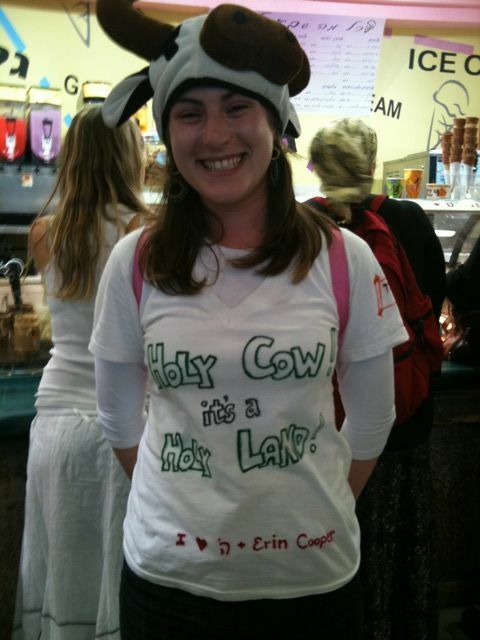 Her shirt, which coordinates nicely with her cow hat, says, "Holy Cow! 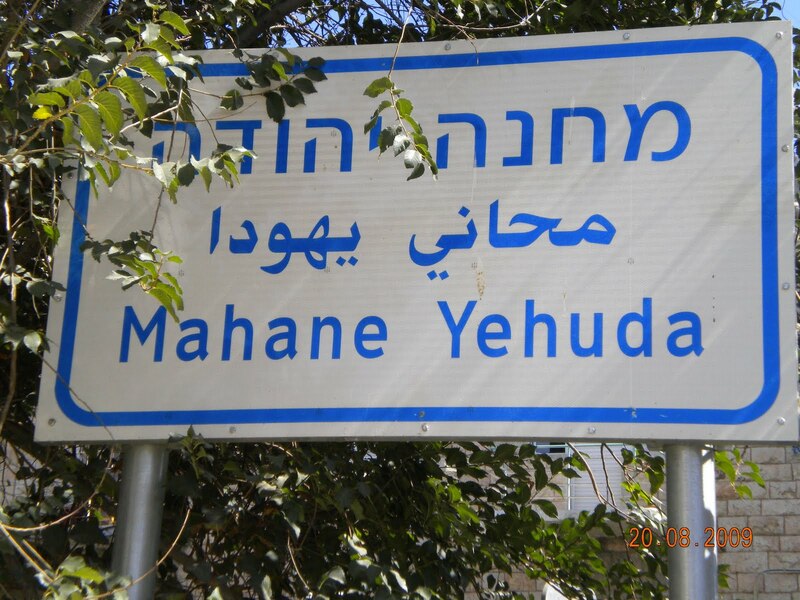 it's a Holy Land!" Zisse is in Israel on a 5-week NCSY program called GIVE, a chesed program that brought the girls to the airport this morning to welcome the 234 new olim, including the Gottlieb family from Baltimore. This was the first aliyah flight landing since our own four weeks ago. 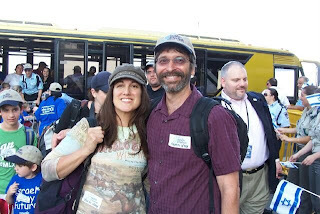 We didn't go to the airport, but I looked through Jacob Richman's 338 photos of the event. I didn't know how I would react, now that I'm actually living here, so I was surprised when I got choked up at some of the photos, especially this one (maybe it's the mom in me) of a brand new olah during her very first moments as a new citizen.